There is still no certainty about the location of Freeport Indonesia’s smelter and funding sources for its construction. PT Indonesia Asahan Aluminium (Inalum) has officially taken over 51.2 percent of PT Freeport Indonesia’s shares at the end of last year. Big tasks await the state-owned mining holding company, particularly smelter construction as mandated by the 2009 Mineral and Coal Law. So far, there was no progress in the construction of Freeport Indonesia’s smelter. Physical construction has not been carried out, even its location has not yet been determined. Freeport Indonesia’s export permit expired two months after Indonesia officially controlled the majority of its shares. Smelter construction is one of the requirements for the US mining company to obtain an export license extension. This month, Freeport Indonesia must be able to provide certainty regarding the time and location of the smelter construction. So far, the government seems less assertive in implementing the mandate of the Mineral and Coal Law, which requires mining companies to build smelters as of 2014. Freeport always gets export permit even though there was no physical construction of its smelter in the last four years. Now, the conditions are different. The government has become the majority shareholder in Freeport Indonesia through Inalum. Thus, it should be able to easily encourage the realisation of the smelter construction. Until the end of last year, the smelter development has only reached 2.5 percent. According to the Ministry of Energy and Mineral Resources, the progress is still in accordance with its predetermined schedule. The target is the completion of the construction process and operation of the smelter in 2023. The Energy and Mineral Resources Ministry’s Mineral and Coal Director General Bambang Gatot Ariyono said Freeport Indonesia has submitted an application letter to extend its export permit. In the letter, Freeport also stated its plan to build a smelter. “If I’m not mistaken, it’s located in Gresik [Java Integrated Industrial and Ports Estate],” he said in Jakarta, Thursday (1/24). Freeport Indonesia confirmed it in a statement. “We have included the planned construction of a smelter in Gresik,” Freeport Indonesia President Director Tony Wenas said in Jakarta, Friday (2/1). However, he did not mention when the construction phase would begin. In reality, however, there is still no final decision regarding the construction site of Freeport Indonesia’s smelter. The State-Owned Enterprises (SOE) Ministry’s Deputy for Mining, Strategic Industry and Media Affairs Fajar Harry Sampurno said there are three options for its location: Papua, West Nusa Tenggara, and East Java. Up to now, the three locations are still being studied. Freeport Indonesia is indeed preparing a smelter in Gresik, but there are still other considerations in terms of energy sources, distance from the mining sources in Papua, and the smelter capacity. Moreover, SOE Minister Rini Soemarno has specifically requested another review of site selection for the smelter construction. According to Rini, the smelter needs a large electricity supply. Therefore, the chosen location must also have a large electricity reserve. For electricity sources, the solution is to build a hydroelectric power plant (PLTA), which is deemed cheaper than other types of power plants. “It will be decided soon. Basically, it [smelter] must be built in five years,” Fajar said in Jakarta, Friday (1/2). In addition to determining the location, there is also no clarity regarding the sources of funding for the smelter construction. Based on the 2018 fourth quarter report published by Freeport McMoran, the total investment to build the smelter reached US$ 3 billion (Rp 42.2 trillion) and each shareholder will bear the construction cost. “Funding for a new smelter will be borne by the shareholders of PT Freeport Indonesia, according to the percentage of their respective long-term share ownership,” the company wrote in the financial report published last month. Inalum’s funding portion is greater because it has a majority stake of 51.2 percent, while Freeport McMoran is only 48.8 percent. However, Inalum denied Freeport McMoran’s statement. Inalum Head of Corporate Communication and Government Relations Rendi Achmad Witular said the company would not provide funds for the construction of Freeport Indonesia’s smelter. “Funding for smelter will be taken from PT Freeport Indonesia’s internal finances. So, Inalum does not provide new funding for building smelter," he said. Meanwhile, SOE Minister Rini Soemarno said Inalum must indeed participate in financing the construction of Freeport Indonesia’s smelter. Inalum does not only spend large funds to acquire shares. There will still be a large investment in Freeport Indonesia in the next few years. Therefore, this has an effect on the provision of dividends for Inalum. “It has been calculated like this from the very beginning, when we planned to acquire shares from Freeport. There are big investments, including for smelter,” Rini said at Fairmont Hotel, Jakarta, Wednesday (1/30). There has been a slow progress in the construction of smelters since the enactment of the Mineral and Coal Law in 2009. Besides Freeport Indonesia, there are still many mineral companies receiving export recommendations that have not yet completed smelter construction, even though the law requires all mining companies to build smelters in Indonesia no later than 2014. The government seems half-hearted in implementing the mandate of Mineral and Coal Law. It has repeatedly provided relaxation to mining companies by continuing to give export permit. The law has actually banned the export of raw minerals as of 2014, but the government continued to extend the smelter's completion target until 2022. In 2014, the government planned to require every mining company to deposit five percent of their funds to build smelter in a special account. This is considered a guarantee of the company’s commitment to build the smelter, but this policy was cancelled. The government now wants to realise that policy. The Energy and Mineral Resources Ministry’s Mineral Director Yunus Saefulhak said the ministry is currently drafting a regulation that could encourage mining companies to downstream. This is intended to support the Energy and Mineral Resources Minister’s Regulation No. 25/2018 on Mineral and Coal Mining Concessions, which requires companies to build smelters. Every mining company will be obliged to deposit guarantee funds as a requirement to obtain an export permit. This fund is deposited every six months with the amount adjusted to the progress of the smelter construction. “So, for each export, the company must leave some money for collateral. The amount will be determined,” he said. With this new regulation, the government will also impose sanctions. It will be imposed on companies that cannot meet the 90 percent of the smelter construction target in six months. They have to pay a fine of 20 percent of the total sales to the government. Their export licenses will also be revoked until they can meet the target related to the progress of the smelter construction. If the progress has reached the target and has been assessed by an independent surveyor, then the government will again provide the export licenses. 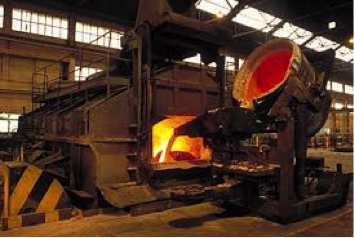 If the progress of the smelter development has reached a certain level that has been accumulated in total, then the funds will be returned to the company. “For example, if 75 percent of the total construction is completed, the money that becomes collateral will be returned. This is because it means the company has been very serious about building a smelter,” Yunus said. However, the collateral will be owned by the state if the progress of the smelter construction in a certain time does not reach the target. Currently, the regulation is being finalized. The Ministry of Energy and Mineral Resources claims to have held public consultations and involved mining companies. This regulation is planned to be issued this month.